Travel is one of our favourite activities. From the hustle of bustle of the mega-cities to sleepy mountain towns to the tranquillity and isolation of tropical islands, we love to get out there and explore the world. But globe-trotting also comes with its pitfalls. Wherever there are travellers, there are swindlers looking to relieve individuals of their money, possessions and sometimes even more. To avoid such troubles, and to get on with enjoyable and fulfilling trips, people need to get smart. This book shows you how. 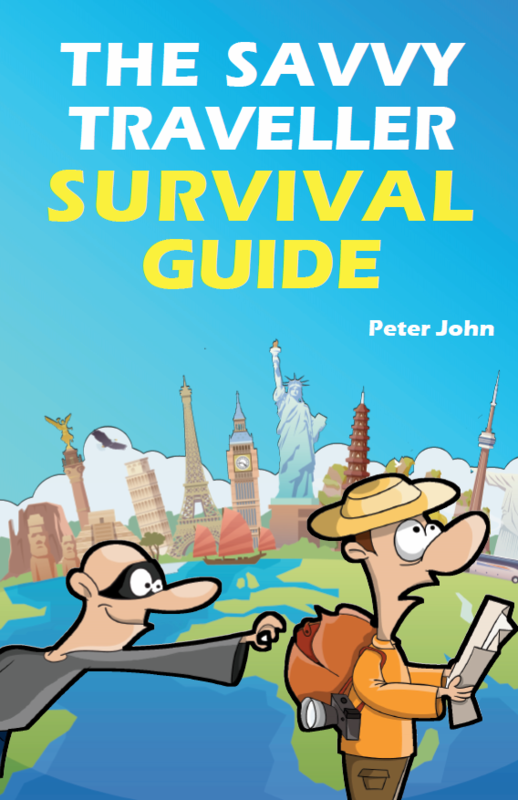 The Savvy Traveller Survival Guide offers practical advice on avoiding the scams and hoaxes that can ruin any trip. From no-menu, rigged betting, and scenic taxi tour scams to rental damage, baksheesh, and credit card deceits – this book details scam hotspots, how the scams play out and what you can do to prevent them. The Savvy Traveller Survival Guide will help you develop an awareness and vigilance for high-risk people, activities, and environments. Peter John is a lifelong traveller who dabbles in office work while planning his next trip. He has never knowingly scammed anyone, but has been scammed while he travelled more times than he cares to remember. He hopes that others can learn from his mistakes, which are spelled out in merciless detail in this book.